In this day of technology, everyone’s looking for the perfect backdrop for their profile picture. Fortunately, Disney has several spectacular walls that are perfectly Insta-worthy. Let’s take a look at the seven best walls for your mini photo shoot! It’s entirely possible that you’ve walked by this perfectly pastel purple wall several times and never even noticed it. However, this wall has a bit of a following. In fact, it’s so popular that Disney made a limited release MagicBand featuring the purple wall. It’s located right at the entrance of Tomorrowland, and there has recently been an uptick of people snapping photos in front of this wall. Carousel of Progress is one of Disney’s most quintessential rides. Walt Disney himself worked on the attraction for the World’s Fair, and it was close to his heart. The colorful, geometric shapes make for a fun photo op! 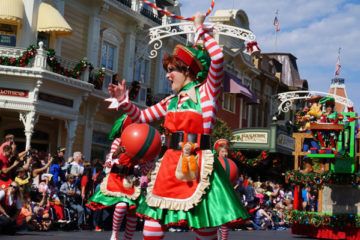 The attraction remains much the same as it was when it was first installed in Magic Kingdom (except for the last scene). Many Disney fans just love it. The bright colors and geometric patterns that are part of the current exterior design make it a fun background for photos. While there’s hardly ever a wait, snap a pic while you’re standing in the queue. 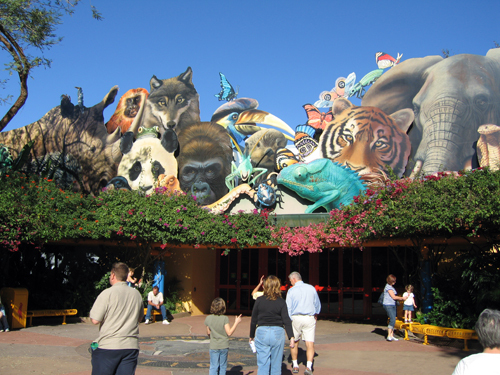 Disney’s Animal Kingdom is full of unique locations, and one such spot is the busy Harambe Market. As per the design of the park as a whole, you’re meant to get lost in the area. 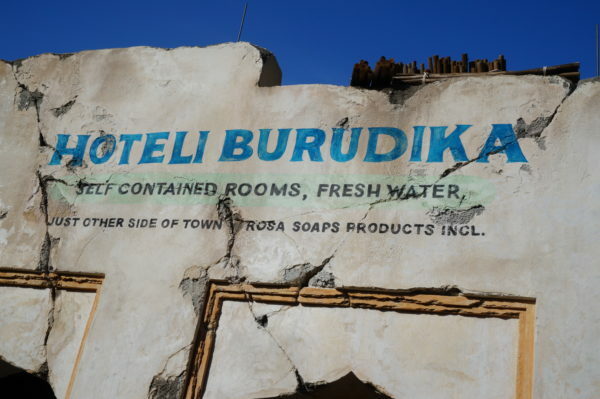 The walls in Harambe Market make for a perfect photo backdrop! There are several walls just in this area alone with some nice wall art to complement your photograph! Can you find the not-so-hidden Mickey? Just outside of Spaceship Earth, the large geodesic sphere that has become the icon of the park, is the Bubblegum Wall. 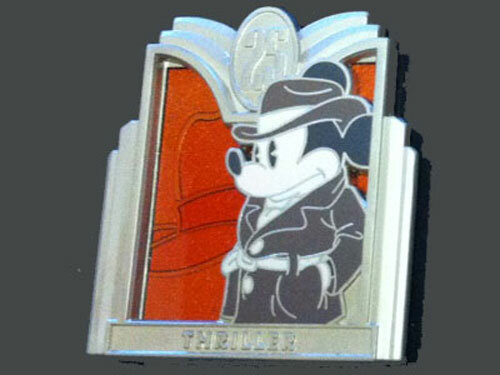 More accurately, there are two of them- one at each exit of Spaceship Earth. 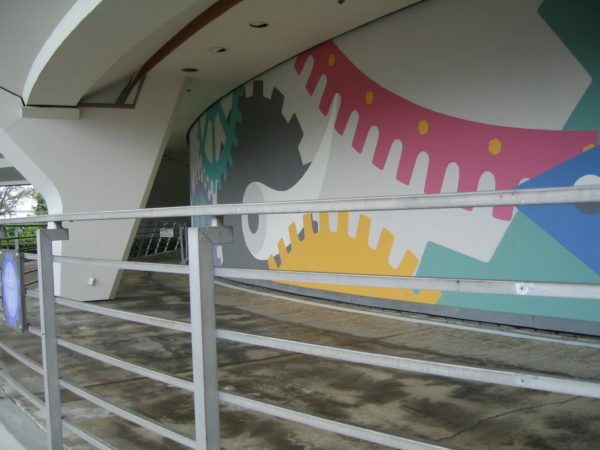 This color-blocked wall is pretty in pink and blue and follows the 80s styling of Epcot‘s Future World. 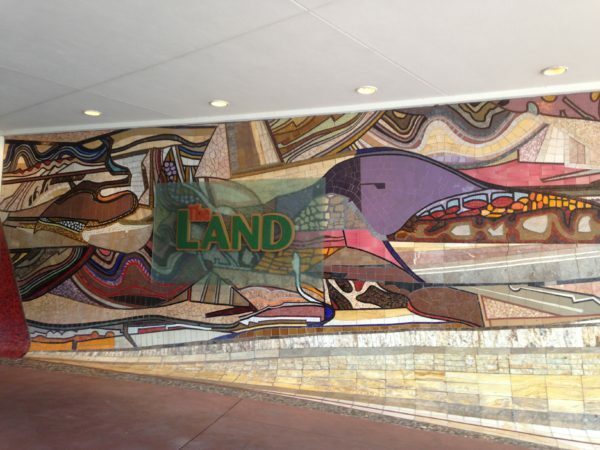 The Land Pavilion in Epcot’s Future World features a mosaic wall at its entrance. It’s impossible to miss. If you’re looking for a really cool place for an land-loving pic, look no further! The mosaic outside of The Land is quite impressive! Interestingly, there’s one tile that makes the mosaic on one side different from the version on the other. Its emerald green color represents the artist’s daughter’s birthstone. Have you ever found it? There’s a beautiful brick wall located inside Pixar Place, which is part of the new Toy Story Land, where you can grab a great photo. There are several different colors of brick on the wall. Can you find the one with a photo-framing inset to make your picture perfect? 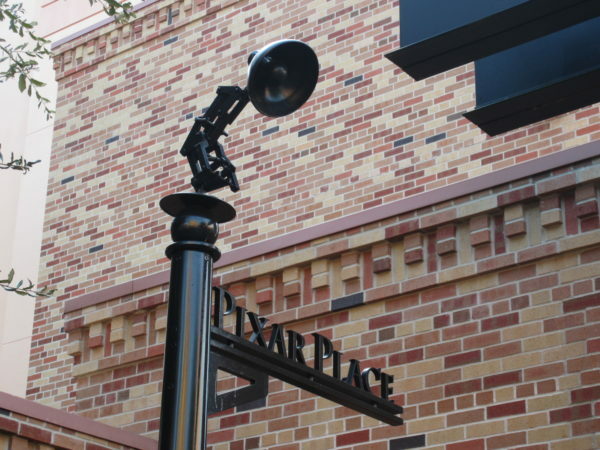 The brick in Pixar Place is beautiful! After you’ve gotten the perfect shot, look at the hidden details in the floors. 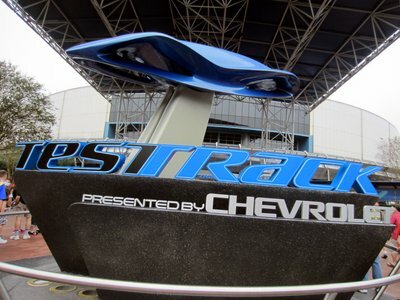 The Imagineers are known to hide special things high and low all over Disney World. 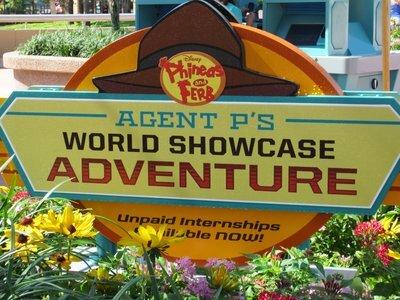 Inside Muppet Courtyard in Disney’s Hollywood Studios, there’s a giant blue steel door just outside of Muppet*Vision 3D. The bright blue barricade makes for a perfect backdrop for your Insta-pic. 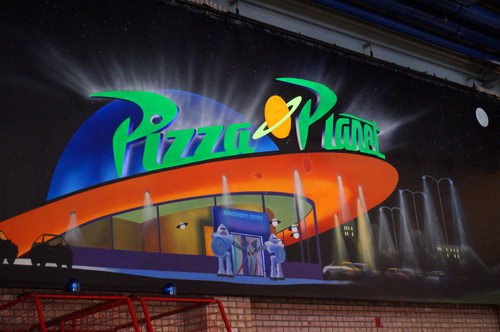 What’s your favorite photo backdrop in Disney World?